The official synopsis is already out and it says that The Flash and team has got only 24 hours to figure out how to stop Savitar from killing Iris. Barry knows it, but still struggles to find out a way to save her. While searching for an answer and people to help, he meets his old nemesis Captain Cold once again. In the meantime, executive producer Andrew Kreisberg said that watching Joe, Iris, and Cisco interacting with Savitar when out of the suit, was exciting and it felt fresh. Barry meeting Cold arises a question as for how the heck is this guy is back? It becomes the next hot question. It’s because if you have seen Legends of Tomorrow season 1 finale, he dies, in the end, saving others. And then in LoT S2, he runs into Legion of Dooms, but at last, he is left again to live his fate. Check: Orange is the New Black Season 5. It may be possible that Snart is alive as a result of Flashpoint. As the synopsis tell us, Barry tracks down him and look for help. Let’s see if Cold helps TheFlash or he just turns him down. 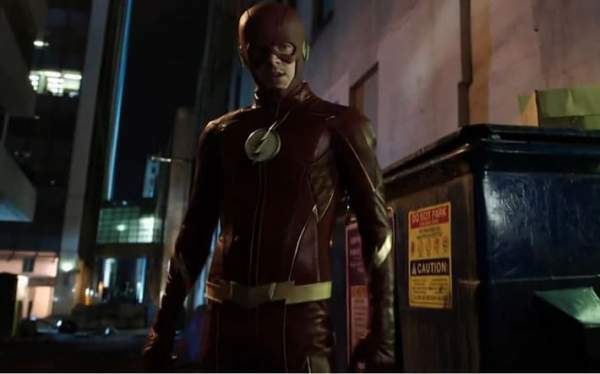 The Flash S3E22 promo has been updated here as it is released after tonight’s episode. The upcoming segment is written by Andrew Kreisberg and Grainne Godfree has done teleplay. The Flash season 3 episode 22 will air on May 16, 2017, on the CW TV at 8 pm ET. What do you think, would Barry be able to save his love? If so, how? Stay tuned to TheReporterTimes for latest The Flash spoilers and tv series news around the world.